Between 1808 and 1825, Latin America was engulfed in a wave of revolution that destroyed the Spanish empire in the Americas. This book studies the process of imperial collapse in one of these Spanish colonies: the Viceroyalty of New Granada, the future Republic of Colombia. Rebecca Earle makes extensive use of previously unexplored Spanish documents to suggest that Spanish royalists inadvertently engineered their own defeat. Rebecca Earle is a lecturer in the History Department at the University of Warwick. She is editor of Civil War in Nineteenth-Century Latin America (Macmillan, forthcoming late 1999) and Epistolary Selves: Letters and Letter-Writers, 1600-1945 (Ashgate Press, forthcoming late 1998). ... absolutely outstanding. Earle is at the cutting edge of recent historiography reexamining the nature of the Spanish American Wars of Independence and this book will serve to stimulate other similar studies of the royalist struggle and collapse elsewhere in South America. [Earle] has reviewed an impressive array of printed primary and secondary sources, including many obscure titles. She provides a helpful glossary and chronology, an exhaustive bibliography, three maps, and a table ... this welcome contribution is likely to remain a standard reference for many years. This succinct book is an excellent primer for anyone working on the independence period in Latin America. It is based on extensive archival research, has exceptional balance and breadth, and it is highly recommended. 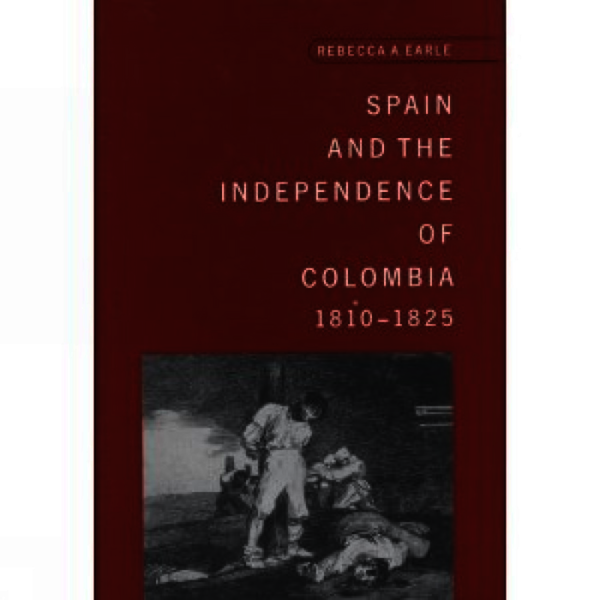 The author has successfully distilled the essence of a vast historiography generated by a slew of academicians from both sides of the Atlantic ... By locating Spain at the centre of her story, Rebecca Earle provides that overarching perspective missing from so many biographies of independence leaders and from the histories of the independence movement of individual Latin American Countries ... It is the imperial focus that gives coherence to this work and for which scholars will be indebted to Earle for its lucid framing of the larger issues of empire. In the final analysis, independence only makes sense if the story of the other side is also told. Spain lost the war as surely as the republicans won it. This novel approach to Spanish American independence gives Rebecca A. Earle’s book an original argument and a strong start.